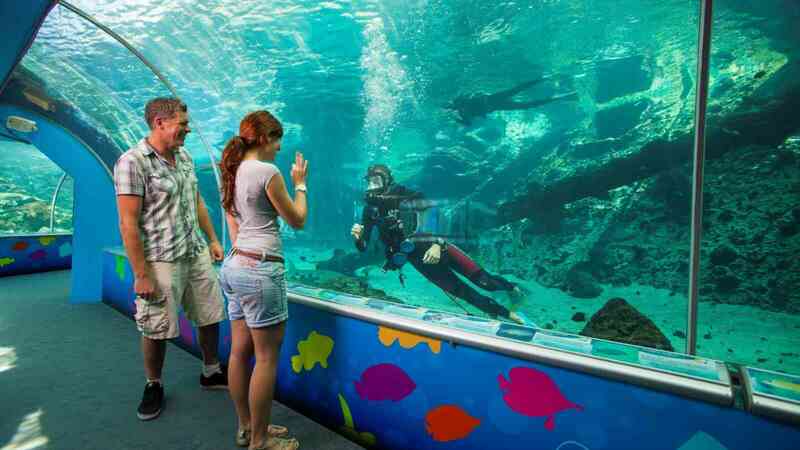 Experience the Great Barrier Reef without getting wet, at the world’s largest living coral reef aquarium. 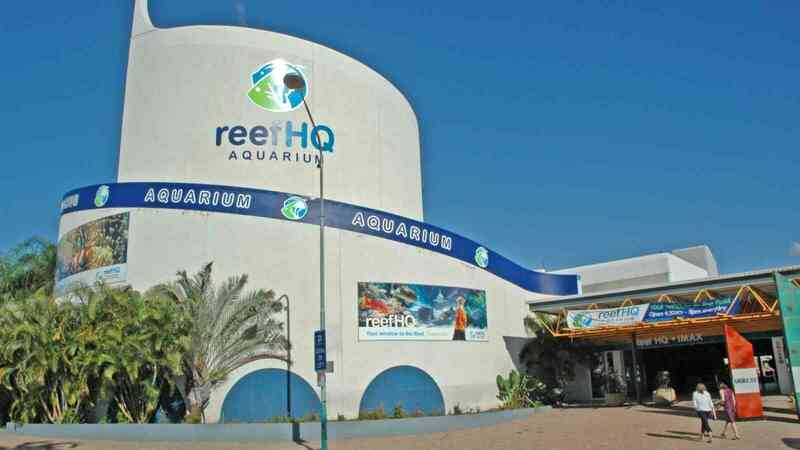 As the National Reef Education Centre for the Great Barrier Reef Marine Park Authority, Reef HQ Aquarium will open your eyes to an amazing world filled with thousands of charismatic marine creatures. 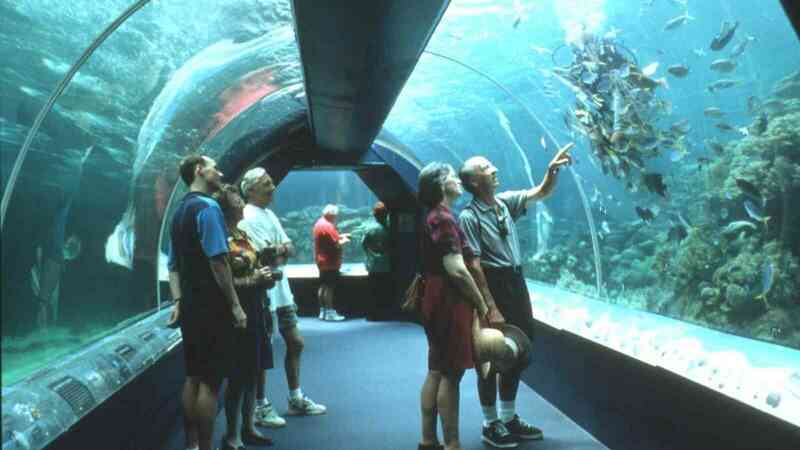 With impressive exhibits the aquarium offers an ever changing, always fascinating experience, showcasing rare and extraordinary features of the Great Barrier Reef. 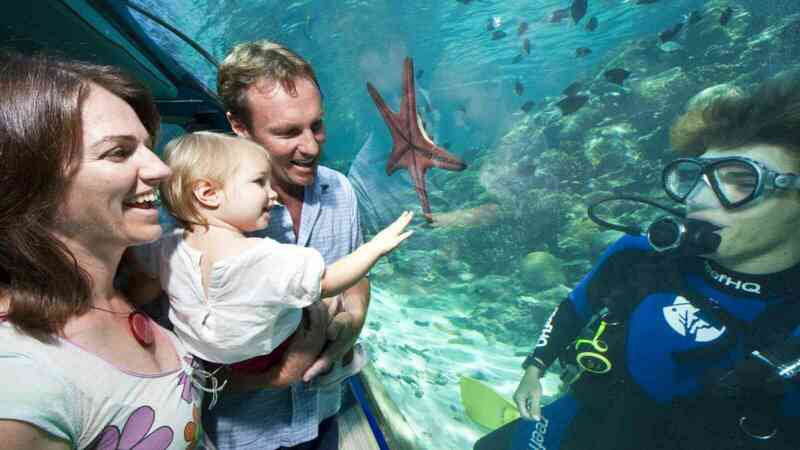 Immerse yourself in the underwater viewing tunnel or get up close and personal at the predator exhibit!